One midsummer week more than 60 years after Virginia Woolf drowned in the Ouse in 1941, Olivia Laing walked that same Sussex river from source to sea. The result is a passionate investigation into how history resides in a landscape--and how ghosts never quite leave the places they love. 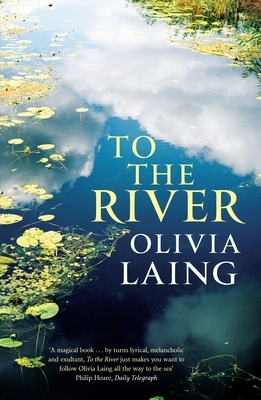 Along the way, Laing explores the roles rivers play in human lives, tracing their intricate flow through literature and mythology alike. She excavates all sorts of stories from the Ouse's marshy banks, from the brutal Barons' War of the 13th century to the "Dinosaur Hunters," the 19th-century amateur naturalists who first cracked the fossil code. Central among these ghosts is, of course, Virginia Woolf herself: her life, her writing, and her watery death. Woolf is the most constant companion on Laing's journey, and this book can be read in part as a biography of this extraordinary English writer, refracted back through the river she loved. But other writers float through these pages too--among them Iris Murdoch, Shakespeare, Homer, and Kenneth Grahame, author of the riverside classic The Wind in the Willows. The result is a wonderfully discursive read, interweaving biography, history, nature writing, and memoir, and driven by Laing's deep understanding of science and cultural history. Olivia Laing lives in Brighton. Between 2007 and 2009, she was the Observer's Deputy Books Editor. She writes and reviews widely, for the Observer, the New Statesman, the TLS and the Guardian among other publications. She has a first class BSc (Hons) in herbal medicine, and practised as a medical herbalist for several years before becoming a journalist, specialising in the treatment of anxiety and depression. Olivia Laing has been awarded a MacDowell Fellowship and grants from the Arts Council and Author's Foundation to work on her second book, which will be published by Canongate in 2013.